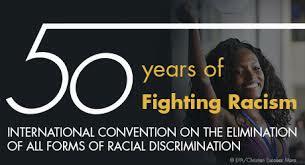 We from the Islamic Renaissance Front (IRF) pay our undivided attention to the ratification of the ICERD (International Convention on the Elimination of All Forms of Racial Discrimination) which recently has become a polemical issue in our society. In sum, the ICERD is a United Nations (UN) convention premised on the principles of dignity and equality for all human beings, that all persons are equal before the law and are entitled to equal protection from all forms of discrimination and all threats of discrimination. Once the government ratifies the ICERD, the most significant impact is the elimination of all forms of discrimination be it ethnic, religious, racial, ancestral, gender, and so on which will benefit the Malaysian community by being able to live in peace and to treat each member of the society with dignity and humanity. Issues of discrimination in the employment sector, education, the right to free speech, the right to security, freedom, and so on be it for citizens or non-citizens alike will no longer arise. A society cannot live in peace if elements of hate or intolerance exist causing prejudice and pre-conceptions thereby occasioning an environment of unrest. There have been many cases locally and abroad where discriminatory practices have brought about civil unrest. Allah ordained in the Quran that: “And indeed, We have certainly honoured the children of Adam.” (Surah al-Isra’: 70). These divine words stress that each human being is honourable and equal, and it is therefore improper for any human being to arbitrarily discriminate another without considering whatsoever their difference in identity. Each person ought to treat the other as they are. Discrimination manifests itself in many forms such as discrimination by skin colour, shunning certain groups, looking down on someone based on factors of gender, inciting people to belittle or threaten certain groups, cyberbullying and many other kinds of discriminatory conduct which threaten the safety of the public. Their effects against the victims of discrimination are manifold be it from the physical or emotional aspects. On this issue, a primary worry of the society in the ratification of the ICERD is the eradication of Article 153 of the Federal Constitution which provides special privileges to the Malays and bumiputeras. There are several matters here that must be clarified in response to the confusion of those who do not appreciate the full context of the ICERD before protesting against it. Firstly, the ratification of the ICERD will not demean Article 153 of the Federal Constitution because Clauses 1, 2, and 3 in Article 1 of the ICERD itself guarantee that the ICERD will not apply to any countries which enact protections in favour of certain ethnic groups or races to ensure said groups enjoy the same human rights and fundamental liberties which are equal in addition to lessening the economic gap between races. Such guided affirmative action is not considered racial discrimination according to the ICERD. The ICERD itself demands transparency on part of the government to justify the need for proportionate special measures. This is to ensure the measures are not abused by interested parties. Thus, the ICERD is clearly in line with and not inconsistent with the values upheld by Article 153 of the Federal Constitution. And the scaremongering that the ratification of the ICERD will cause the closing down of MRSMs, the dissolution of MARA, the abolishment of Malay Reserve Lands, the shutting down of UiTM and other kinds of elimination of Malay and bumiputera privileges are things which will not happen and are argued merely on misconceptions. Secondly, the ratification of the ICERD will not jeopardise the Federal Constitution, because Article 4(1) of the Federal Constitution states that the Constitution is the supreme law of the land and that any laws inconsistent with it shall be void. For a country that adopts a dualist system, international law will not automatically or unquestionably be enforced in Malaysia unless it has been debated and passed by Parliament. Thus, the ratification of the ICERD will in no way compromise the Constitution as well as the Parliament, but instead uphold the fundamental constitutional rights. Thirdly, in light of the conjecture that the ratification of the ICERD will lead to international interference with Malaysia, it must be acknowledged that the UN Charter in Chapter 1, Article 2, Clause 4, provides that there should be no interference with the territorial integrity and political freedom of any country. Thus, the ratification of the ICERD will not risk the nation’s sovereignty, as pointed out by the UN, or any other unreasonable misconceptions. Malaysia is a sovereign state, the ratification of international law which upholds humanitarian values indirectly manifests Malaysia’s modernity. Therefore, the ratification of the ICERD in actual fact brings more benefits by ensuring that each member of the society receives equal treatment without discrimination so that they may live in harmony and democratically. The government is entitled to bring forward these discussions on the ICERD to Parliament for a debate to democratically obtain agreement and to incorporate as well as interpret the ICERD within a context suitable to Malaysia. At the same time, the essence of the ICERD which brings about valuable meaning ought not to be cast aside in building a peaceful society. 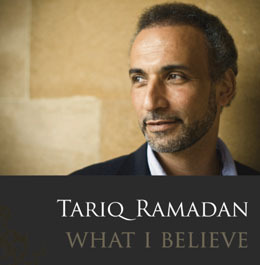 Only those parties which frequently champion racist endeavours – even though they carry the label of Islam – are uncomfortable with the objectives of the ICERD aimed at eradicating all forms of racial and ethnic discrimination. 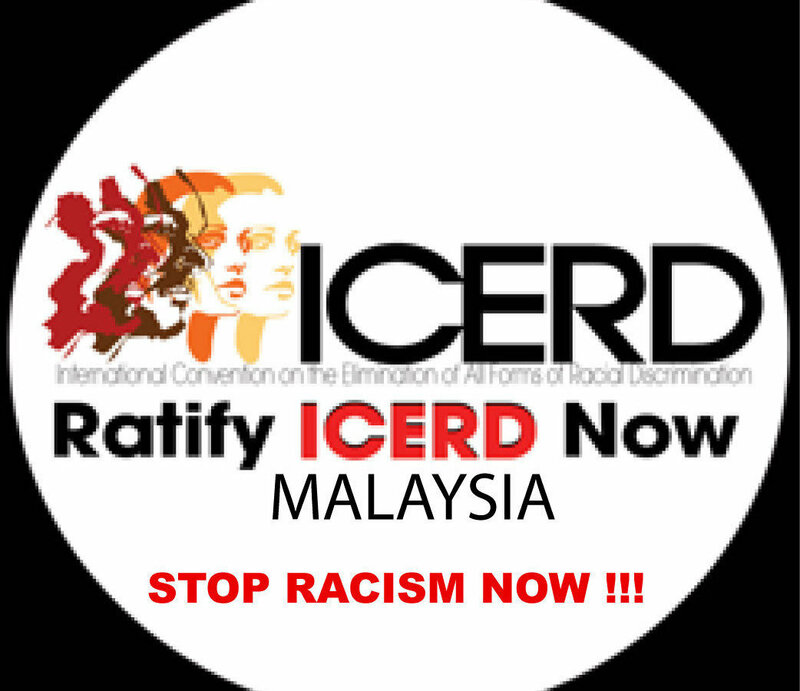 Indeed, the Islamic Renaissance Front has called for the ratification of the ICERD since 2012 by launching an online petition and through the Say No To Racism campaign and continues to hold steadfastly to the notion that the Malaysian government should ratify the ICERD without any further delay.